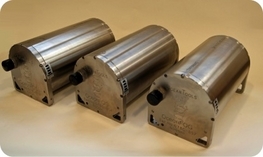 Ixsea Octans 3000 - OCTANS 3000 is a subsea survey-grade gyrocompass and complete motion sensor for water depths up to 3,000 m. Based on iXBlue’s fiber-optic gyroscope (FOG) technology it outputs heading, roll, pitch, heave, rate of turn and acceleration. OCTANS 3000 can be easily upgraded to full INS mode (i.e. ROVINS). Ixsea Octans Nano - OCTANS NANO is the smallest and most adept state-of-the-art 4 000 m depth rated attitude and heading reference system (AHRS). 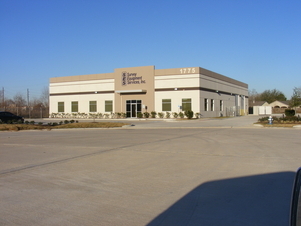 It is built on iXBlue’s renowned fiber-optic gyroscope (FOG) technology and offshore instrumentation expertise. OCTANS NANO offers an outstanding price/performance solution, with rugged titanium housing, meeting the most challenging requirements of subsea applications. TSS Meridian Surveyor - Accurate light weight surface gyrocompass. 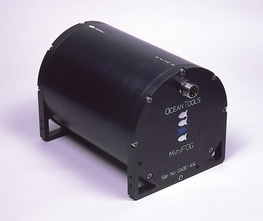 Oceantools MiniFOG - Fiber Optic gyrocompass with pitch and roll rated for 3000M water depth. OceanTools OceanFOG - OceanFOG may be used in a wide variety of subsea and surface applications including Survey, ROV navigation, AUV navigation and for Metrology applications. Please click here for PDF Brochure.